I still remember where I was and what I was doing sixteen years ago today. I vividly remember getting ready for school and out of nowhere hearing my mom screaming. I ran downstairs to find her completely terrified and glued to the TV watching the news. Not even a few minutes later we watched another plane hit the second tower. As time goes on I will always remember how I felt that day and how grateful I am to all the service men and women and their families who sacrifice and fight to keep me and my family safe. 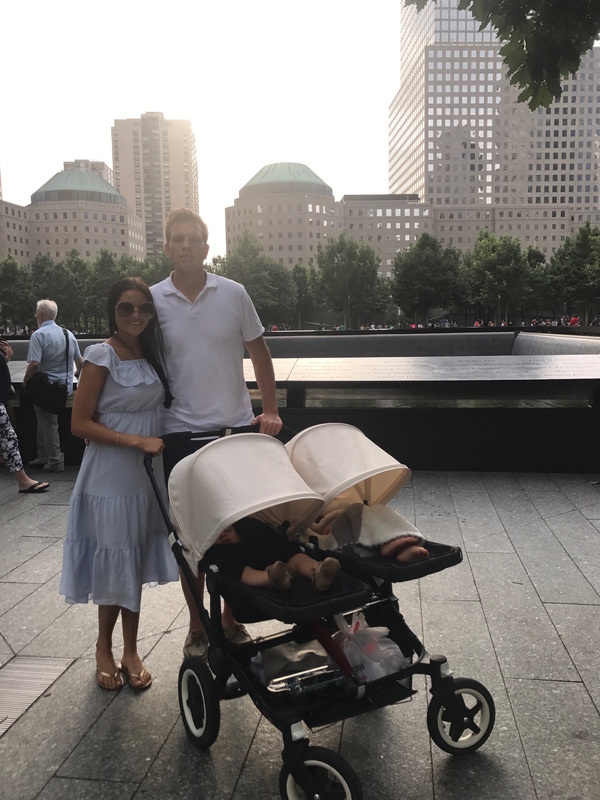 Here are a few photos of me and my family while we were at the 9/11 memorial in July. You could feel the emotion and the spirit that was there. It was so strong and left a huge impact on me. I feel blessed to live in this country that provides all of us opportunity and freedom. Today and everyday I am proud to be an American. The boys are so adorable. It is crazy to think that happened 16 years ago! Without a doubt, so proud to be an American! I remember exactly where I was too. I can’t believe it’s been 16 years already. 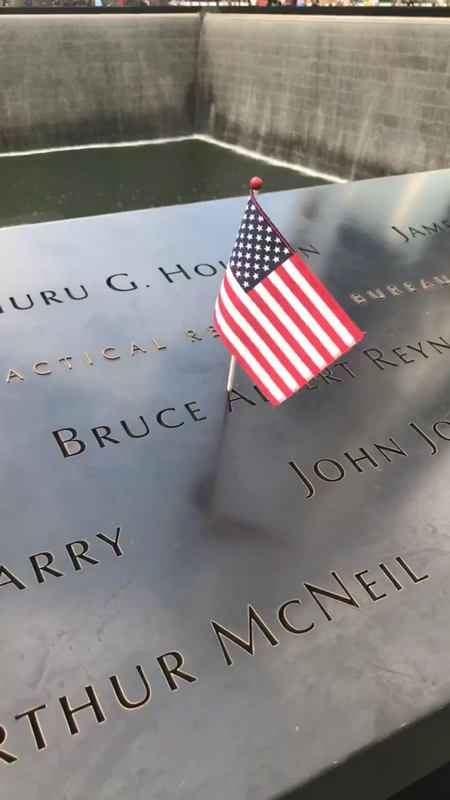 Thank you Rach for posting this , so many us forget to remember this very devastating moment in our history when innocent Americans lost their lives. I appreciate that you have taken the time to express your thoughts. God bless you and yours. Love this post Rach! I remember this day so vividly as well, and I was only in the 4th grade! It made such a huge impact on me and how grateful I am for those who fight for our freedom. I hope one day to visit the memorial. It looks beautiful! Love the pictures! Amen Rachel!!! Also, just want to say how much I appreciate all your posts, positivity and witness as you use your platform in this world for good..and to honor God. I love your style as well!! God bless. I don’t think any American can forget exactly where they were when it happened. I was in biology class and we could see the smoke from our classroom. It was a such a scary day not knowing fully what was going on yet. It is such a somber day today. 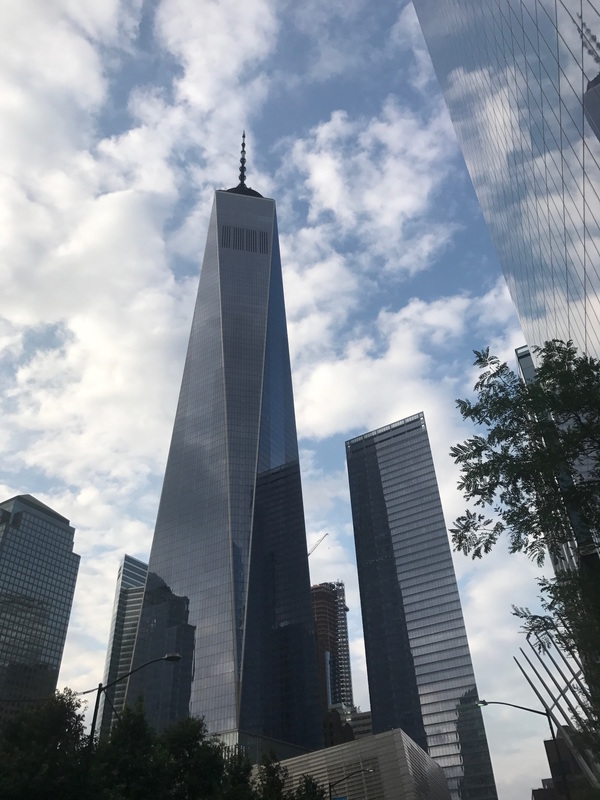 From NYC, today is always a hard day. 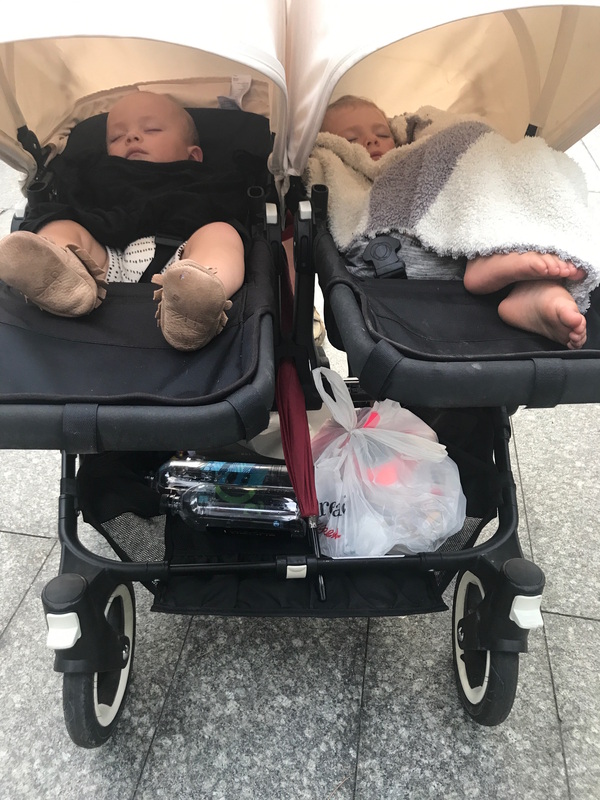 Thank you for sharing your pictures. I have yet to have gone to the memorial but it looks beautiful. I was there this exact time last month and I agree with you, Rach. It is VERY emotional. Not going to lie, I cried just thinking of those people who thought they were going to have a normal day only to have it be the worst day of their lives. Thanks for sharing. I remember exactly what I was doing on this day 16 years ago! Such a tragedy! Your babes look so adorable by the way! I hope you have a great week! Your post is really heartwarming, amazing. I remember this day and time as well. It was a very somber time. I remember wondering if we would ever be able to move past this and be happy again. Time has slowly healed that wound but I still get very emotional when I think about it.